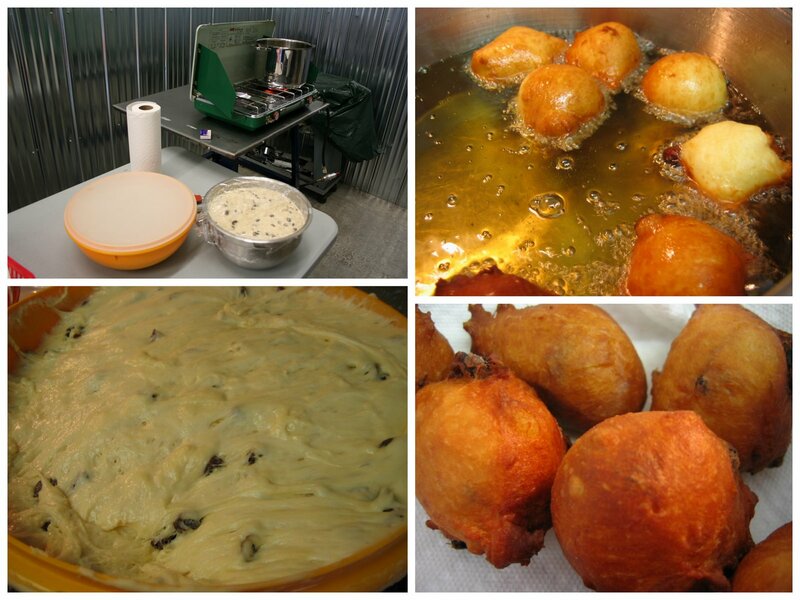 This is a recipe repost from several years ago but I think it is worth a reminder today that tomorrow is the day to heat up a pot of oil, make a batch of raisin fritter batter and call your friends and family over to celebrate a new beginning to the new year. Every year we open up our shop to our extended family. I use a camp stove to heat the oil and ask everyone else to bring something savory to share for a late afternoon meal after the little ones have napped. Here is Anneliese's recipe. 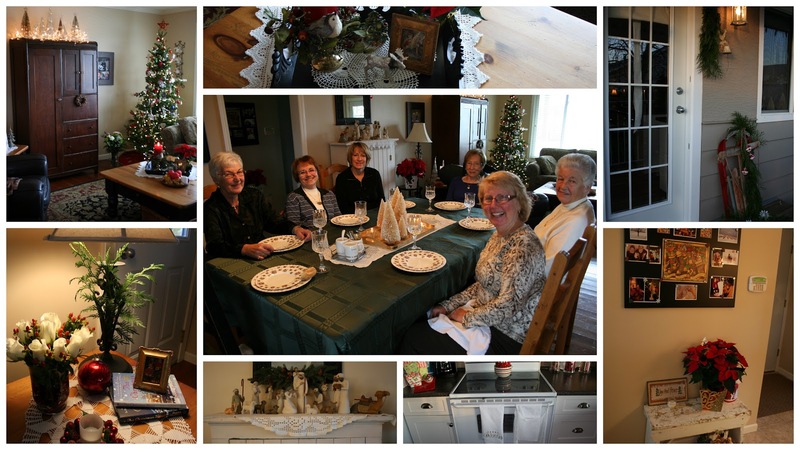 Pick one and begin a wonderful tradition in your home. Sprinkle the yeast and 1 teaspoon sugar over the warm water in a large bowl. Let the yeast mixture sit until it becomes foamy. Add the sugar, beaten eggs, melted cooled butter, warm milk and salt and stir together really well. Add the raisins and 4 cups of flour and beat hard with a wooden spoon. Stir in the remainder of the flour and cover with a lid or plastic wrap and allow to double for about an hour. Once evenly browned, remove them using a slotted spoon to paper towel. You can roll them immediately in sugar or allow everyone to have their own technique for dipping into sugar while eating them. If you want to freeze the leftovers, roll them in sugar first. This has been a wonderful year for the Mennonite Girls Can Cook. We are overwhelmed with gratitude for the opportunity this blog has allowed us. Without all of you who support us, we wouldn't have a reason to post our recipes here or have a book that we can use to fundraise for feeding hungry children. We are so blessed by your friendship and we pray that we will continue to be a blessing to you through sharing what God has given us in our faith and heritage. From all of us at MGCC . ..may you have blessed new year! 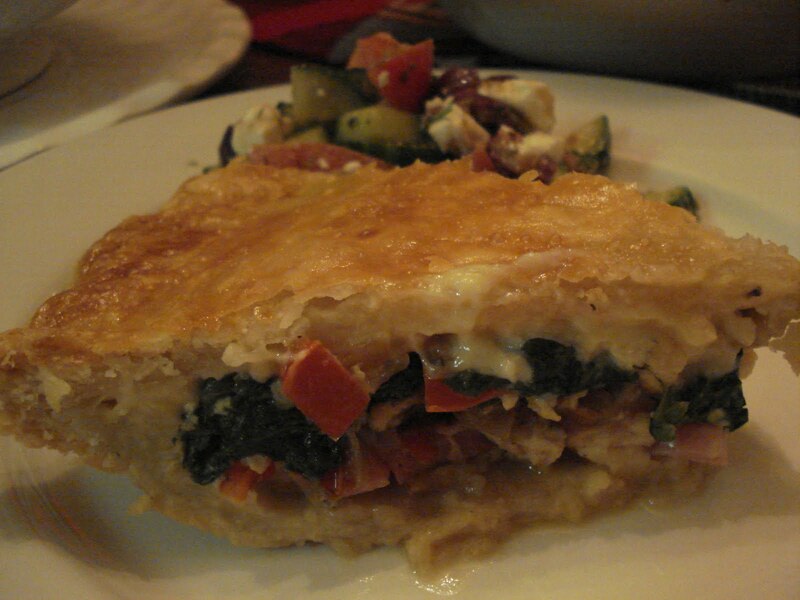 This is a delicious Pie that can be served for brunch or supper. The colorful layers let you see all the goodness that goes into this pie. Serve with a fresh Fruit or green Salad. Add the fresh spinach and cook long enough until the spinach wilts down, this only takes a few minutes. Top with the second layer of pastry and brush the top with a bit of reserved egg to give it a deep color when baked. Bake at 425 for 30 minutes or until golden brown. Most of us don't have a brick oven to bake our pizza's in. I have to ask....does anyone out there have a brick oven, or an old fashioned wood cook stove with an oven on one side? We used to go to a cabin in the interior of BC during the holiday. The cabins source of heat and cooking was an old cast iron cook stove. While Scot kept the stove at a constant heat on one side, I'd place a turkey into the oven cavity and we would enjoy the juiciest turkey. We made all our meals during those holidays in that stove, including fire roasted pizzas. I've often thought how neat it would be to look for an old stove like that and build it into an outdoor kitchen. Our BBQ retired at the end of summer and we decided to replace our gas grill with a modern charcoal grill called The Big Green Egg. My husband has been turning out the closest thing to fire roasted pizza's I've ever eaten. and your oven will work too. I've used all three methods with success....but do try grilling your next pizza....it adds another element of flavour. Stir together water, yeast and salt. Stir in the oil. Mix the flours together and then add to the liquid mixture. If using a mixer, fit with dough hook and mix on low until dough comes together into a smooth ball. You can also just use your hands and knead it together until your dough is smooth. With either method you may need to add a little more flour. Your dough will be elastically smooth, but not really sticky. Pour a small amount of olive oil into your palm, pick up the dough ball and coat lightly, and then place back into the bowl and allow to rise about and hour. Note: I often make my dough a day or two ahead of time. Just mix and put into an air tight container in the fridge. Take out, remove lid and leave on counter for an hour. It will rise nicely. Punch down when you are ready to put onto your pizza peel. In a large skillet fry together ground beef and Italian sausage. When it is about half way cooked add onions, mushrooms, olives and peppers. Continue to cook over medium heat. Add thinly sliced pepperoni sticks. Remove from heat. This can be made ahead of time or put onto the crust as soon as it's ready. If you are using your BBQ, place the pizza stone right on the racks. Turn the gas grill on either side as you want to bake the pizza over direct heat. If you can, raise your rack to the highest level. When your grill is 400-450º your stone will be hot enough for baking. If you have 'The Egg' get your grill up to 500º If using your oven place your pizza stone in and heat oven to 450º.Once your heat source is at temperature your stone will be very hot and ready for you to slide your pizza on. While your stone is heating in your heat source assemble your pizza on a pizza peel. If you don't have a peel, assemble pizza on the back side of a cookie sheet. Rub the flat service you are using with olive oil and sprinkle with corn meal. Take your dough and in your hands or on a lightly greased counter top shape into a roughly round shell. Place pizza dough onto your peel and press to extend it to the edges and flatten it out best you can. It may look rustic....I like it that way! Spread with pizza sauce, Parmesan cheese, meat mixture and then top mozzarella cheese. Working quickly open your heat source and slide the pizza onto the hot stone. Close and allow pizza to bake. Check your pizza after 10 minutes. Over a gas grill you want to make sure the underside is not burning. If it is, you may want to turn off one side of your gas grill and bake for the last 10 minutes over indirect heat. At about 20 minutes lift one corner of your pizza to check if it's done. Time may vary with the thickness you make your crust. We like a thinner crispy crust so sometimes I only use 1/2-3/4 of the pizza dough per pizza. If you like a thick pan style pizza crust, use all the dough for one pizza, making sure it is baked all the way through. The pizza stone will be very hot. Leave the hot stone in your heat source and just slide pizza onto a pizza pan. Eat while it's hot! With New Year's just around the corner, here's an appetizer dish that might just fit into your menu plan. It's great to take along to a party or to serve before an Asian style meal. It was given to me by a friend a few years ago and I have served it on numerous occasions. It's Oriental...it's different...and it's good! Mix cream cheese, sour cream and curry powder together until well blended. Spread over bottom of serving dish. Spread mango chutney over cream cheese mixture. 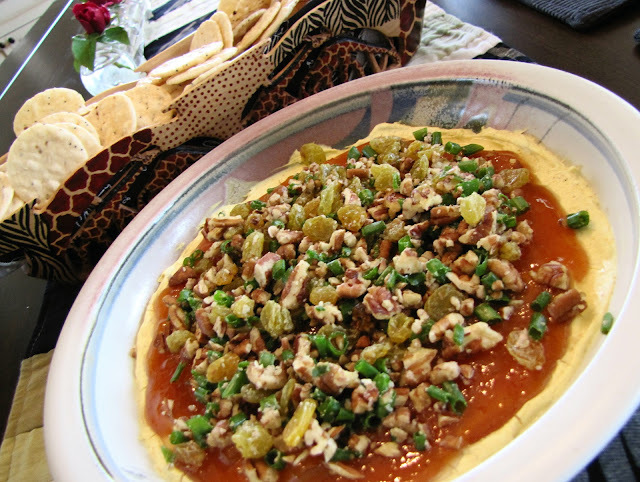 Combine green onions, raisins and chopped pecans and sprinkle over chutney. Note ~ Mango chutney can be found in the 'Asian foods' section at the grocery store. This is a very simple dish to serve as an appetizer or dessert. 1 egg beaten with 1 Tbsp. water. Roll thawed sheet of puff pastry on a lightly floured surface to approximately 12-14 inches square. Spread chopped nuts in circle in center of pastry. Top the nuts with the jam/preserves. Place brie circle centered on the jam. At this stage you can use some of the pastry to cut out a decoration for the top. 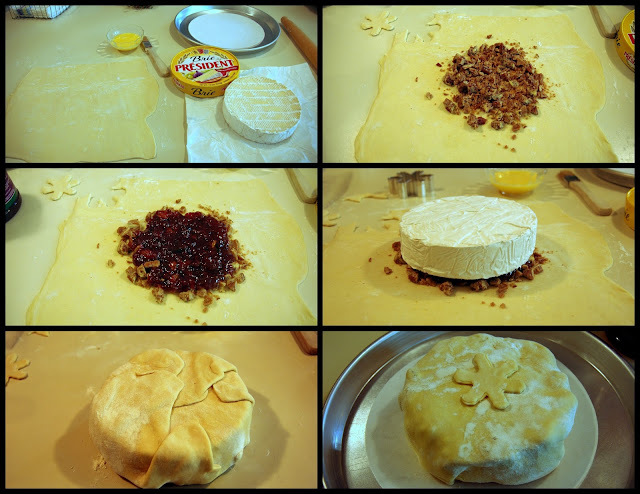 Fold up the edges of the pastry to cover the brie completely. Flip the Brie wrapped in pastry over. Add decoration if you like. Place the Brie on parchment lined baking sheet. Brush the pastry with beaten egg mixture. Bake in 400 degree oven for 20-30 minutes or until the pastry is golden brown. Note: I prefer to scrape off some of the rind especially from the top where the jam and nuts will rest. I like the idea of the jam permeating the brie easier in the baking process. Although I didn’t have red grapes when I prepared my Brie but it would be a very nice accompaniment. 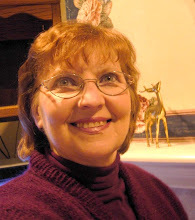 The beautiful story of Jesus birth resounds in chorus throughout the Christmas Season. Today we are celebrating the birthday of Jesus. who humbly came to earth to be our Savior. JOY JOY FOR CHRIST IS BORN! So they hurried off and found Mary and Joseph, and the baby, lying in the manger. heard and seen, which were just as they had been told. It is our prayer that you too are celebrating the joy of Jesus birth today. Just as the shepherds did, we also want to spread this wonderful news. A Savior is born...His name is Jesus. From our hearts and home, we wish you a blessed Christmas. This recipe was passed on to me by a wonderful cook in my husband's extended family. Make it the night before and pop it in the oven when you get up in the morning. 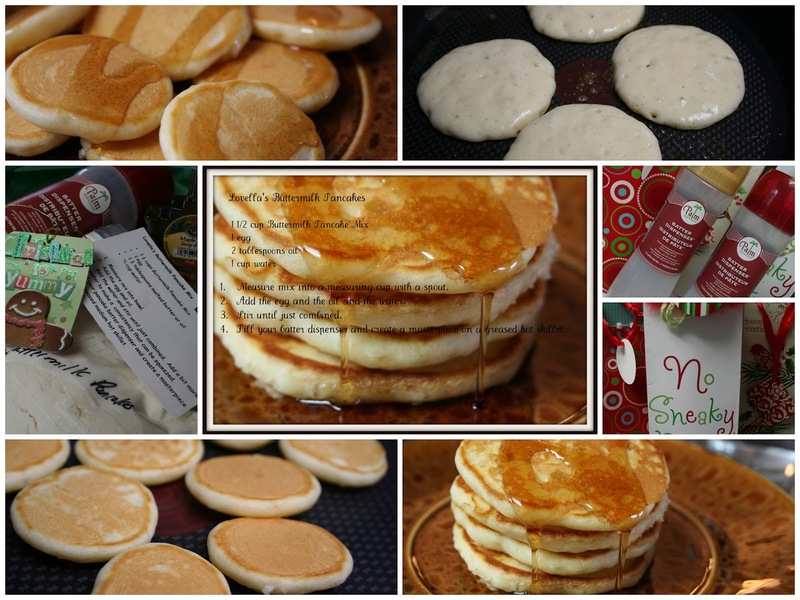 The buttermilk syrup is wonderful and a nice option to the usual pancake syrup. Combine brown sugar, melted butter and 1 teaspoon cinnamon and spread evenly over the bottom of a 9x13 inch baking dish. Distribute sliced apples and cranberries over the sugar and butter. Arrange slices of bread over the fruit. Beat eggs together with milk, vanilla and 1 1/2 teaspoons cinnamon until well blended. Pour egg mixture evenly over bread, being sure all bread is soaked. Cover and refrigerate 4 to 24 hours. Uncover and bake an additional 5-7 minutes. 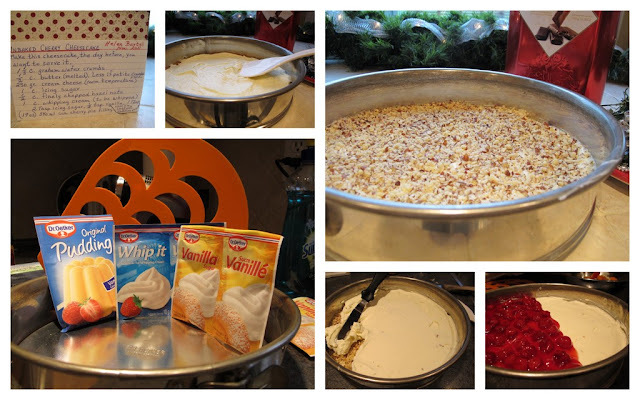 Place all ingredients except vanilla in a large saucepan. Bring to a boil over low heat and boil for about 7 minutes. Be careful as this syrup will boil over quickly and make a real mess. This syrup is delicious over any pancakes, waffles or French toast. A festive salad to serve at Christmas. This layered gelatin salad takes a bit of time to make but it will wow your family. Mine hardly believed that I had made it. Dissolve cherry gelatin in 1 cup boiling water. Add 1/2 cup cold water and stir till gelatin is dissolved. Pour into a 13" x 9" x 2" pan sprayed with cooking oil. Refrigerate until set, not firm. In a small saucepan sprinkle unflavored gelatin into 1/2 cup of water, allow to sit for 1 minute. Stir in milk and sugar and cook over medium heat, stirring constantly until gelatin and sugar are dissolved. Remove from heat, whisk in sour cream and vanilla until mixture is smooth and creamy. Spoon 1 2/3 cup of this creamy gelatin over layer of the cherry gelatin that has set. Chill until set but not firm. Prepare the remaining gelatin flavors as you did the cherry gelatin, alternating the layers of gelatin with the creamy gelatin mixture, allowing each one to set before adding the next layer. Refrigerate for 7 to 8 hours. 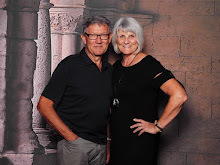 Just last week Anneliese shared a post on Last Times! I think most of us could hardly read that post without a dry eye. Today I am sharing a recipe post, which I remember fondly when Helen, our mother in law said that she would no longer be able to make her cherry cheesecake. I remembered this as our 'last' time, enjoying her specialty cake, and am still savoring those last bites. So I visited with her this past month and asked her permission to use her recipe, her pans, and tools. She was more than delighted that I would consider keeping this Christmas recipe alive in our family. So I followed her recipe, as she described with full details each step, and realized that I could continue serving Helen's most delightful cheesecake. The beauty of this recipe is that you can make this in advance, a few days before your event. With a bit of optimism, we have been able to revive her recipe for our next Christmas gathering. Combine graham wafer crumbs and melted butter. Press onto the bottom of a 9" springform pan. Combine cheese and icing sugar. Mix until blended and fluffy. Spread over graham wafer crumbs. Beat whipping cream, icing sugar, vanilla, and then mix in pudding powder. Cover pan with saran wrap and chill several hours. Spread cherry pie filling evenly over all. Cover again and chill several hours or overnight. Now you know why some of Helen's tools hold a high price. This orange lifter is called a Kuchenretter, made in Germany, which is a must in every kitchen. It lifts the cake with ease as it slides onto your platter. Biscotti became rather popular in the local coffee shops a number of years ago and I still love this "Italian dunking cookie" with a good cup of coffee. 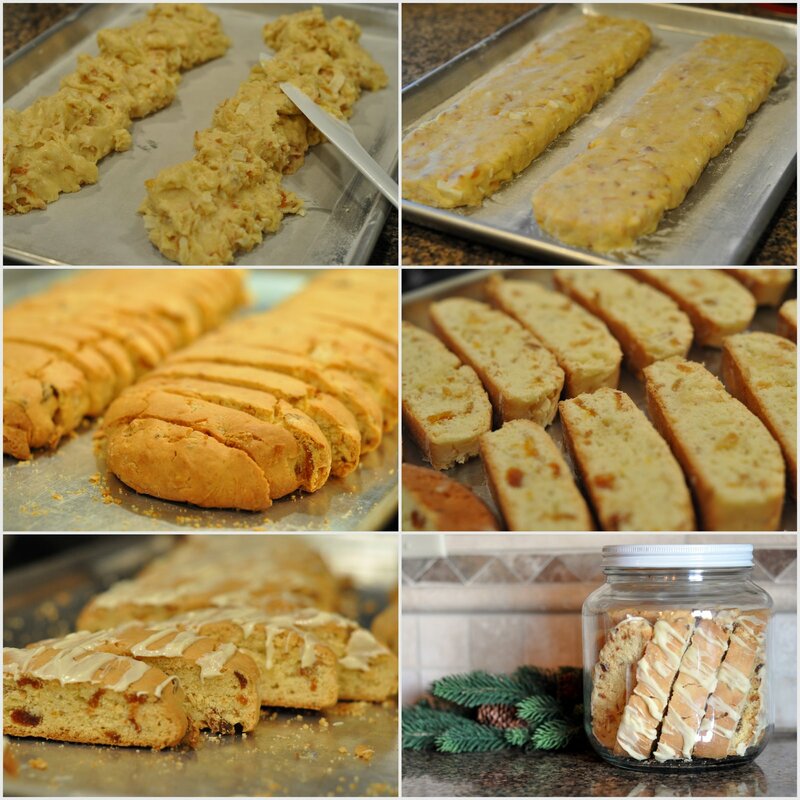 If you prefer plain biscotti ( the way I got the recipe years ago) omit the orange juice and the last four ingredients, adding 1 cup ground almonds. Mix first three ingredients with mixer, adding in the orange and almond extract. Add combined flour, baking powder and salt, then the chocolate, nuts and apricots. Stir until well mixed. Mixture will be sticky. Spoon in two rows, side by side, on greased and floured cookie sheet. With floured hands, shape into logs. Cool 5 - 10 minutes, then cut into diagonal slices. Separate the slices and spread them out, cut side down, on cookie sheet/sheets. Bake at 275° F for another 30 minutes, or until just slightly toasted underneath. Flip sides, in between, if desired. Drizzle (or dip one end) with melted chocolate and allow to harden before storing. Store in cookie jar or plastic bag in a dry, cool place. These keep a long time. 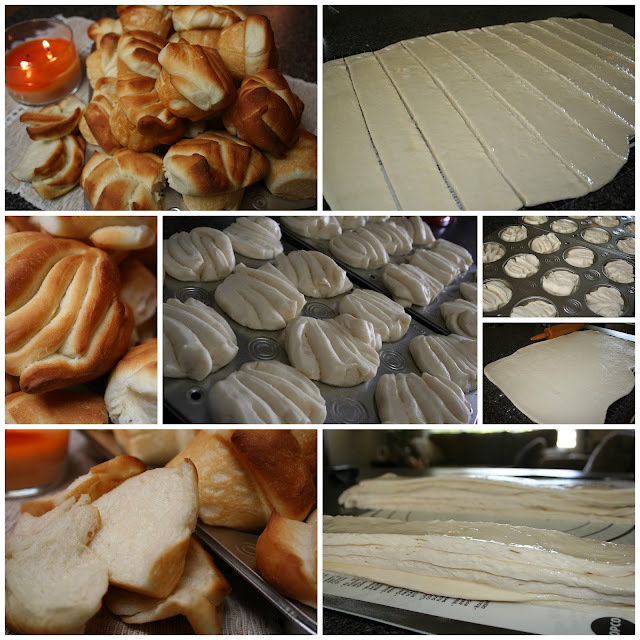 My mom loved making these little fan rolls and lately I've been making them instead of Zwieback. They are simple and your company will ask you how you did it. It makes two dozen which is perfect for most dinner meals. Once baked, they freeze really well to serve just thaw and reheat briefly. Mix together the warm water and honey and add the yeast unless you are using instant which you will add later. Let the yeast sit in the warm liquid about 5 minutes. Add in the egg, salt and melted lard and beat together well. Add 2 cups of flour and then another two cups of flour (this two cups would include the instant yeast). Add additional flour to make the dough manageable. Knead 8 - 10 minutes until smooth. If you use a kitchen machine, allow the dough to knead on slow until it comes away from the bowl. Cover the dough in a large bowl and allow to rise for an hour. Roll the dough into a large rectangle about 1/4 inch thick. Spread melted butter over the dough and cut into 12 fairly even slices. Using half the slices, lay one slice over the other and repeat with the remaining dough so that you have two stacks of dough. Cut each stack into 12 pieces and lay them cut side up into greased muffin tins. Allow to rise until double and then bake in a 375 oven for about 15 minutes or until golden brown. Joy is a recurring theme and response to Jesus and what he has done for us. Look at the joy in these verses from the Bible. Take a moment to read through them. Sing for joy and be glad, O daughter of Zion; for behold I am coming and I will dwell in your midst,” declares the LORD. You will have joy and gladness, and many will rejoice at his birth. For behold, when the sound of your greeting reached my ears, the baby leaped in my womb for joy. …fixing our eyes on Jesus, the author and perfecter of faith, who for the joy set before Him endured the cross, despising the shame, and has sat down at the right hand of the throne of God. Remember this Christmas season when you see a star, man made or God made, pause to rejoice. When you see a babe think of our Savior and rejoice. When you see gifts beautifully wrapped think of the very best gift of all we have been given from God through Jesus and rejoice. REJOICE with Mary and Joseph. 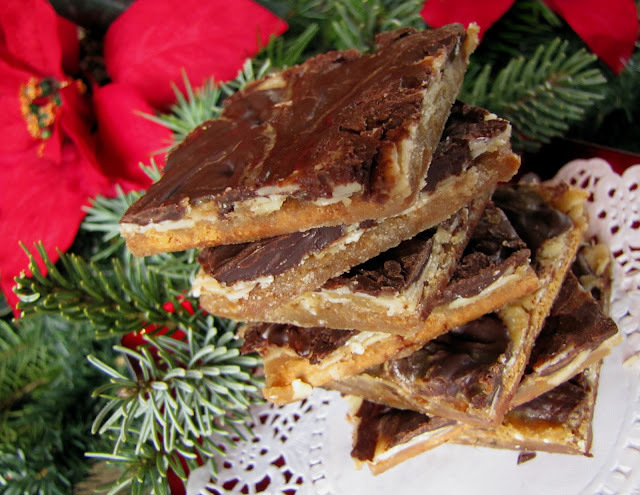 Many years ago, a friend showed up at a Christmas party bearing a tray of these thin and tasty treats. She explained that she had no Christmas baking in her freezer...but this was one recipe she could whip up and bring on the spur of the moment. The almond roca squares were soon gone and she went home with an empty tray...but she left the recipe behind. I have made these many a Christmas since...though I am sure they would be good at any time of the year! Lay graham wafers in bar pan, cutting crackers to fit snugly. Sprinkle with almonds and set aside. Put butter and brown sugar in a saucepan, and bring to a boil while stirring. Pour carefully over the almond/wafer base. Place in a 350° F oven for 8-10 minutes, or until bubbly all over. Then run tines of a fork through the chips to spread. Invert the pan onto a cutting board, and cut between wafers with a sharp knife or pizza cutter. is the perfect dessert after a heavy holiday meal. It's also a great addition to a summer Barbeque. Press into bottom and up sides of a 9 inch pie plate. Place juice in measuring cup and add water to make 1 1/4 cups liquid. Pour into medium sized saucepan. Sprinkle gelatin over liquid and let stand to soften for about 2 or 3 minutes. Add 1/3 cup sugar and stir over medium heat until gelatin is dissolved and mixture comes to a boil. Pour into a medium sized bowl and add pineapple, lemon zest and juice, stirring to blend. Refrigerate, stirring every 5 minutes or so until it begins to gel. The consistency should be similar to unbeaten egg whites. In another bowl, beat egg whites until soft peaks form. Add 1/3 cup sugar a little at a time, beating until stiff and glossy. Add beaten egg whites to pineapple mixture, folding until white streaks disappear. In another bowl, whip cream until stiff peaks form. Remove 1 cup whipped cream and set aside for topping. Add remaining whipped cream to pineapple/egg white mixture and continue folding until well mixed. Pile pineapple mixture into prepared crust. Add 1 tablespoon icing sugar to reserved 1 cup whipped cream, beat briefly. Place in a piping bag with a large tip and pipe a circle of rosettes around edge of pie. Pipe a few more in the center of the pie. Sprinkle toasted coconut in center of pie and refrigerate for at least 2 hours. This is a quick and simple homemade treat to serve over ice cream and a lovely gift to give from your kitchen. I am already dreaming of all the different toppings I can make maybe chocolate with jalapeno. I'll be back in summer with more ideas. Melt chocolate chips and butter (or coconut oil) in microwave for 30 seconds. Stir and microwave another few seconds and stir again until chocolate chips are melted and mixture is smooth. You might need a few more seconds in the microwave but be careful it doesn't burn. Add vanilla and stir until well blended. Pour into a glass jar and cover with a lid, I used a jam jar, it's important to pour into a microwavable container. You do not need to refrigerate as it will keep for a few weeks in the pantry. The next time you have a yearning for this delightful topping just reheat in the microwave (remember to remove the lid) for a few seconds till it's liquid again. Spoon or drizzle over ice cream. It will form into a hard shell. Add vanilla, flour, salt and nuts. Place on ungreased cookie sheet, if you want you can flatten them a bit. Bake at 400 degrees F, 11-14 minutes. While still warm roll in powdered sugar. After cool, roll again in powdered sugar. This is a really nice dip for a festive gathering. 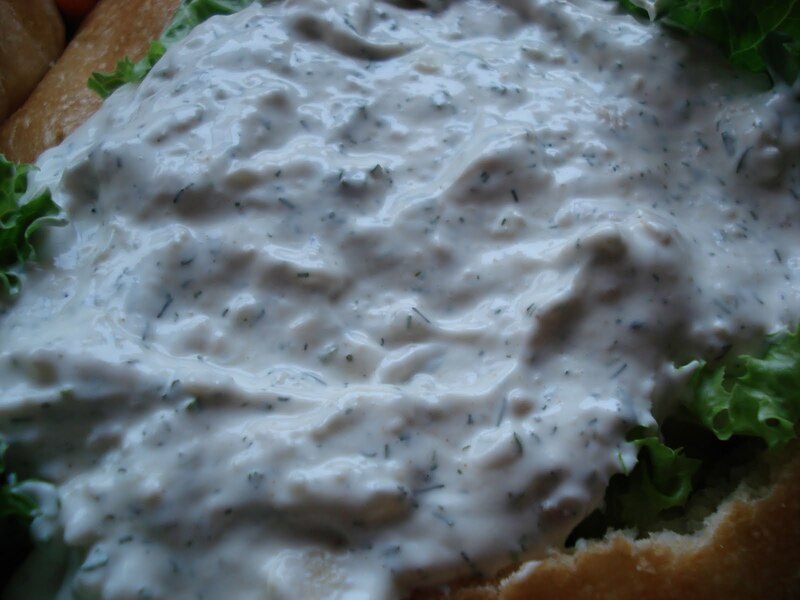 In our circle of friends it has become as popular as Spinach Dip. 1 or 2 can of flakes of chicken (optional), or 2 cups of leftover chicken, I always put it in. Combine all the ingredients together. Mix well, chill until serving. It is a good bread dip using french bread, pumpernickel, the choice is yours. It also works very well with chips and veggies (the best choice) as well. The first time I made Brandy Snaps was purely by accident since I added the wrong amount of flour and my cookies spread like wildfire on the pan and turned into delicate pieces of flat lace. I wasn't sure if I should serve them or dump them but when I tasted them I thought they were delicious and quite pretty on a plate. That was nearly 30 years ago and have since discovered there was a name for my mistake. These little lacy cookies can be left flat or made into these pretty little cases that hold a perfect bite of whipped cream. Put the sugar, corn syrup and butter into a small saucepan and stir. Stirring to avoid the sugar from burning. .heat over medium heat until it is bubbling. Beat in flour and flavorings until smooth. You will only make 6 cookies per cookie sheet. One teaspoon of batter per cookie. Watch the cookies closely because they will turn from caramel colored to dark brown very quickly. Aim to have them a nice caramel color, about 6 minutes. Remove the pan from the oven. .wait a few seconds and then roll one at a time over a wooden spoon handle and then remove to cool on a rack. Repeat until they are all rolled. You will have to work quickly. If they become too hard, put them back in the oven for half a minute. This is an idea for that "ten dollar gift for the gift game" or perfect to bring along if you will be an overnight guest during Christmas holidays. I found these Batter Dispensers at our local Hom*Sens* store. At under ten dollars, it gave me a bit of wiggle room to become a bit creative. put enough for two breakfasts in a Ziploc bag and included the recipe. Mix all together and store in a sealed bag or container in a cool place. Measure the dry Buttermilk Pancake Mix into a 4 cup measuring cup with a spout. Add the egg, oil and about 3/4 cup of water. Add enough water to make the right consistency. Pour into your batter dispenser and create your pancake masterpieces in a greased skillet over medium heat. It's a colourful and fun way to serve up a variety of tastes and textures. Use 3 or 4 inch long toothpicks or skewers or, if you like, find some fancy Cocktail picks and use them. The thinner the skewer, the easier it is to thread mushrooms and hard cheeses which tend to crumble if the skewer is too thick. Another tip is to anchor the ends with something like a cherry tomato or grape that will keep everything else in it's place. These are just a few suggestions - use your imagination and be creative with the flavour combinations. Place kabobs on platter or long tray and drizzle sparingly with a vinagrette salad dressing or a flavoured olive oil (purchased or make your own by adding a tsp. of lemon juice and some garlic or dill weed to the oil). Refrigerate until serving time. Here's a dip that works perfectly during the holiday season...a cranberry salsa paired with cream cheese and served on crackers. Combine sugar, orange juice and water in saucepan and bring to a boil. Add cranberries, jalapenos, orange zest, ginger and cilantro. Return to a boil and then reduce heat to simmer for about 8 minutes or until cranberries burst. Cool to room temperature and then chill until ready to serve. 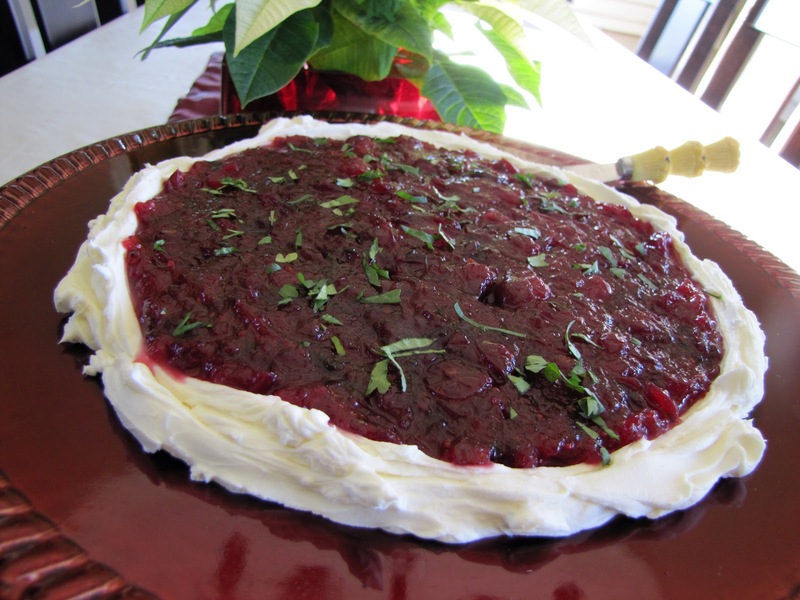 Spread a layer of cream cheese on serving platter...and top with cranberry salsa. Sprinkle with additional chopped cilantro. Serve with a platter of crackers. Cranberry salsa can be prepared well ahead and stored in the fridge. I must say that these cookies of all of my mom's cookies are still my personal favorite. 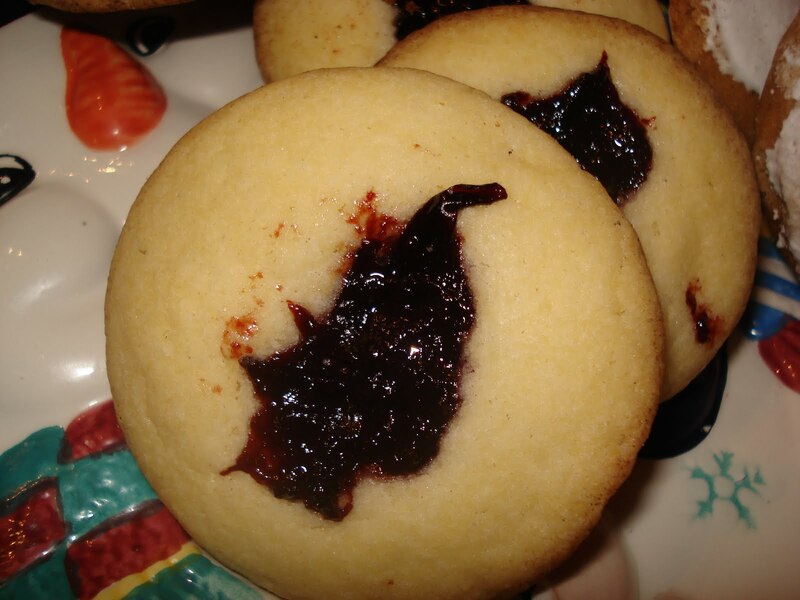 A soft buttery cookie filled with her homemade Damson Plum Jam. This summer I asked my mom to teach me how to make the jam just so these cookies would always be in the family. There is nothing out of the ordinary special about them, just simple and good that comes with good memories of my mom making them. Perhaps it is all the love that goes into her cookies that makes Christmas special for us. Cream the butter and sugar together really well for a couple of minutes until it is light and fluffy in color. Add eggs in one at a time and beat well. Sift together the flour and baking powder, gently stirring that in to the butter mixture. Chill over night. Dough is very soft to work with it needs to be in the fridge overnight or several hours. Form into little 1 inch balls and make a dent using you finger. Fill with Damson Plum Jam or your personal favorite. Let cool on cookie sheet for a minute before you remove it to the cooling rack. and all that we have to do to prepare for Christmas. Christmas concerts and packages to mail. But let's quiet our hearts for a bit to an inward preparation. Let's stop and listen, close our eyes and mind to that quiet place. I too become so quickly caught up in the busyness of the season. We have traditionally observed the advent wreath and the lighting of the candles. consisting of some Christmas specialties, with some scripture and prayer. Things have changed as they have all become adults and have their own lives. But still, we gather together with those that are close by and share this special evening. Do you have friends dealing with health issues? Read a quiet meditation for yourself. Play your favorite Christmas music. Call someone who needs that word of encouragement from you. Is this an opportunity to restore a relationship? Bake a few cookies for those single moms and dads. Give to a cause you believe in. A meal for the homeless? Drop a few coins in the Red Kettles as you hear the bells ringing. Give a passionate smile and helping hand to the elderly. renew my sense of wonder and excitement. Help me to slow down enough to open my eyes. Fill my heart with gratitude for each day, each month, each year of life. sights and sounds of Christmas. For a long time I have wanted to make these little pies, thought it would be a fun way to serve pie for my next dinner dessert. These little pies are also perfect to give as gifts especially at Christmas. Once they are baked and cooled you can close them with the lids and add a ribbon if given as gifts. Or you can freeze the extra and have them ready for a time when a pie craving hits. This is not so much a recipe as an idea of a fun way to serve dessert or give as a gift from your kitchen. You can use this idea for apple crisp or graham wafer crumbs layered with pudding and whipped cream. Or make savory pies, so many ways to use these jars other than for jam. Roll out your pastry like you would for pie. Cut out circles that fit your jars. Push the circles of dough into your jars pressing the dough to the bottom and sides to form the crust. If you don't want to cut out the circles, just press pieces of dough into the jar covering the bottom and sides. Spoon your filling into the dough lined jars. Using the screw-on ring for the jar, cut a circle of dough and place on top of the filling, pushing down the edges a bit to form the top crust. Cut a vent on top crust, I used a little tree shaped cookie cutter. Brush with melted butter and sprinkle a little coarse sugar over top. Place jars on a cookie sheet and bake in a 350º oven for 40 to 45 minutes. Serve in jars with a scoop of ice cream or run a knife around the edges and slide pie out to serve on a plate. Anytime you are willing to do this much work, it has to be something very tasty . . . and these will not disappoint. This cream cheese pastry rolls out easily. I like that you can make the pockets ahead, freeze them unbaked and pop them in the oven when needed. These have been a family favorite on Christmas Eve for many years. Add flour, mixing until smooth. Cover and chill. Sauté onion and mushrooms. Cook until tender. 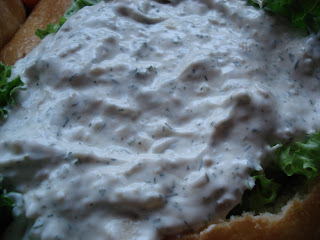 Stir in salt, thyme, flour and sour cream. Cook until thickened. Cool. Divide dough in half. Roll out each half very thin (1/8 ") and cut rounds with 2 1/2 - 3 inch cookie cutter. Drop 1 teaspoon filling on each circle. Brush edges with egg. 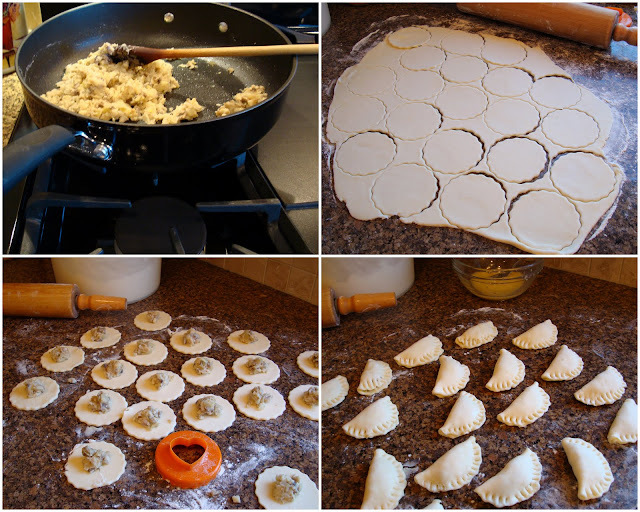 Fold dough over filling. Press edges together with a fork and brush tops with egg. Freeze unbaked. Bake on parchment paper lined baking sheet at 425° F for 12 - 15 min. or until golden. Makes 3 - 3 1/2 dozen. This is an old family recipe - a favourite of my mother-in-law. I remember her making it often from the time I first sat at her table in 1963. 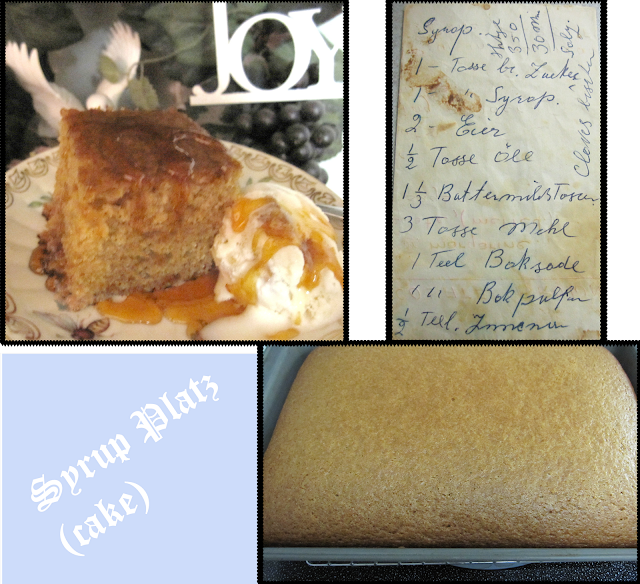 She always called it Syrup Platz, although I don't really know why since it is more a cake than a 'Platz'. I found her hand written recipe (in German, of course) tucked into her Mennonite Treasury Cookbook. It is stained and yellowed and so typical of how her generation preserved recipes. On the side she has noted a couple of forgotten ingredients... salt - no amount given, cloves - a little. The bake time and oven temperature are written across the top. No method instructions. I know today our recipes are so neatly electronically saved, but I wonder if in future years our descendants will have the same emotional connection to them that I have when I hold my mother-in-law's recipe in my hand. 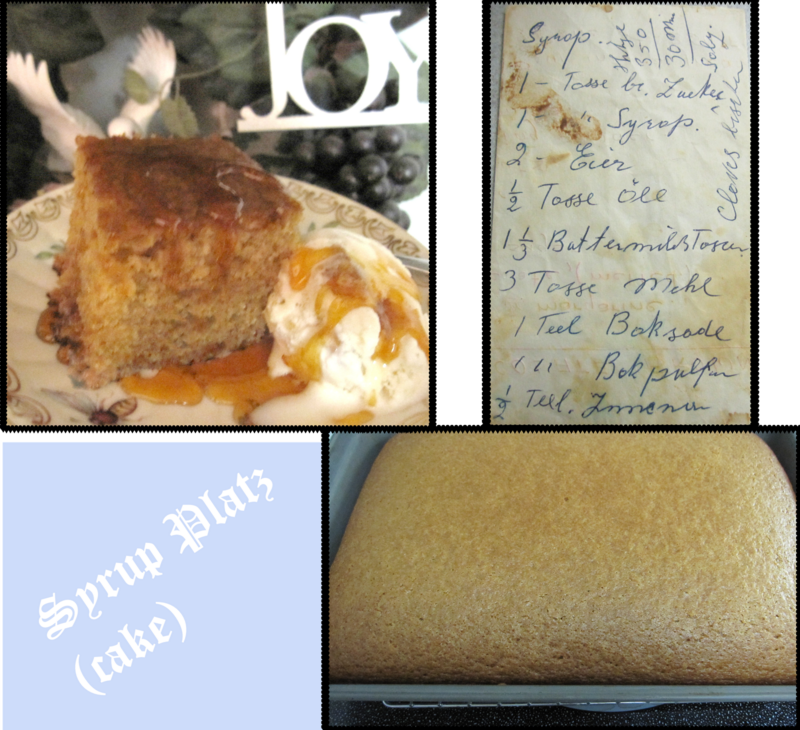 Wonderful with a dollop of whipped cream or ice-cream - serve warm or cold.